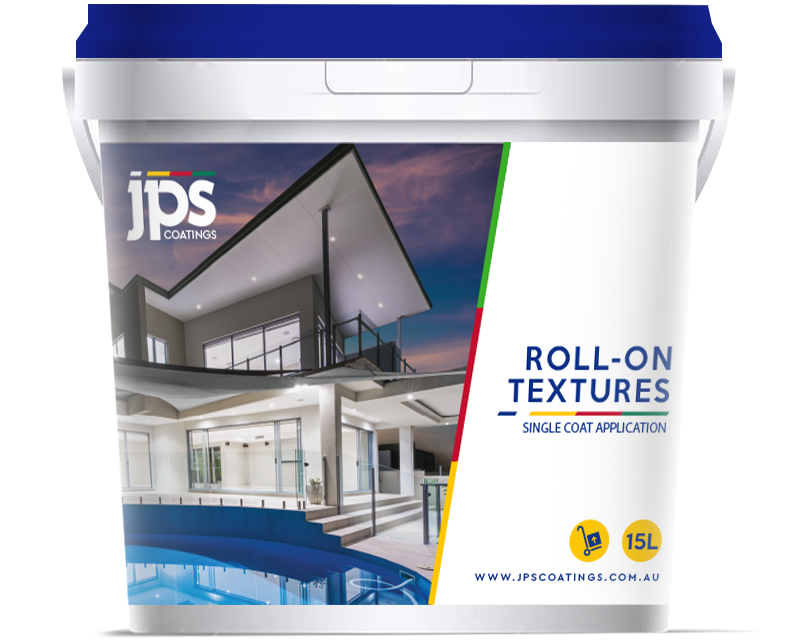 JPS Coatings Roll-On Texture is a high build acrylic based coating, formulated on 100% pure acrylic emulsions, mineral fillers, fine graded aggregates and colour stable pigments. Supplied in a semi liquid paste consistency the product is designed to be applied by roller or spray. 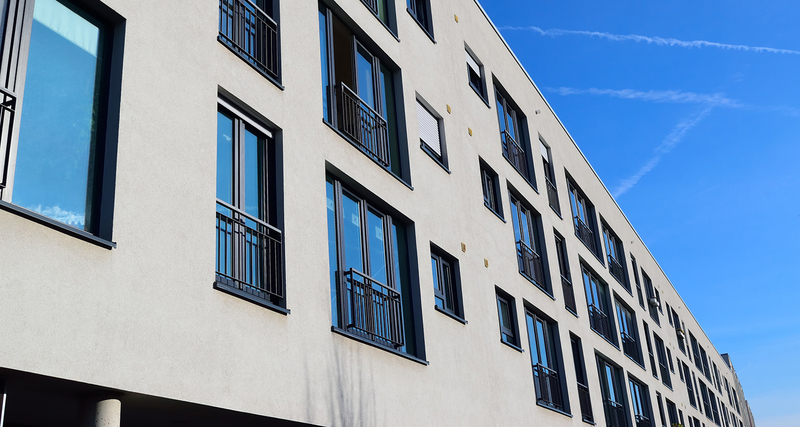 JPS Coatings Roll-On Texture has been formulated to have long “Wet Edge” rolling consistency, but quick, continuous application is still imperative. JPS Coatings Roll-On Texture can be applied to suitably prepared masonry substrate including Off-Form Concrete. F.C Sheeting, G.R.C. (Glass Reinforced Concrete), Plaster Board and Cement Render. Surface preparation is the responsibility of the Builder / Renovator / Main Contractor and the Applicator. The substrate must be clean, sound and free of all powdery residue, from oils, release agents, bondbreakers or any other contaminants that may interfere with adhesion. Tie wires, nails and steel on the surface must be completely removed, all other metal objects must be corrosion stabilized. Fresh cementitious substrates should be left for 7 days before coating. There must be less than 15% moisture Wood Equivalent in the surface at the time of coating to ensure optimum coating performance. The substrate is then primed and the general surface condition is made suitable to receive the texture coating. JPS Coatings Roll-On Texture is available in a wide range of colours including any of the major brand names. After thoroughly mixing, the material is applied by regular, high profile or coarse roller. Liberally loading the roller and applying it to the substrate in full roller loads, starting from floor to ceiling, once 4-5 roller widths are applied, re-roll diagonally to even out material and commence to smooth roller marks out. Then start to lay-off material in either an upward or downward motion to obtain a uniform finish. This technique is repeated until to whole surface area is covered. Best results are achieved by one applicator applies the material whilst the other applicator “lays off”. Care should be taken not to overwork the surface area. Application of JPS Coatings Roll-On should be carried out at temperatures above 7℃ and below 32℃, freshly applied material must be protected from frost and rain for a minimum of forty eight (48) hours. It is recommended that application be carried out by a skilled applicator, which is totally conversant with texture products and systems. Application in extreme heat or windy conditions, especially on large areas in full sun, should be avoided. Always prefer to work in shaded areas. During inclement weather, application should be stopped in sufficient time to allow the product to cure adequately. A drop of only 2℃ in air temperature at 85% relative humidity, is enough to induce the dew point thereby terminating the drying process for acrylic products. 1 pail of JPS Coatings Roll-On Texture has a spreading rate of 1.6 sq. metres per litre approximately 22–25m2 assuming no loss. Practical spreading rates will vary due to such factors as method and conditions of application. 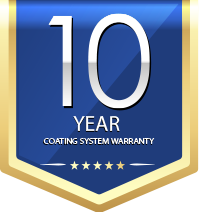 JPS Coatings Roll-On Texture is surface touch dry in 1 hour at 25℃ and 50% relative humidity, however drying will take longer at lower temperatures or higher relative humidity and Hard dry in Seven (7) days. JPS Coatings Roll-On Texture can be overcoated with (Tex-Guard) decorative sealer. Tex-Guard enhances the overall texture and greater colour consistency is maintained. The overall durability of the system is upgraded to the optimum.